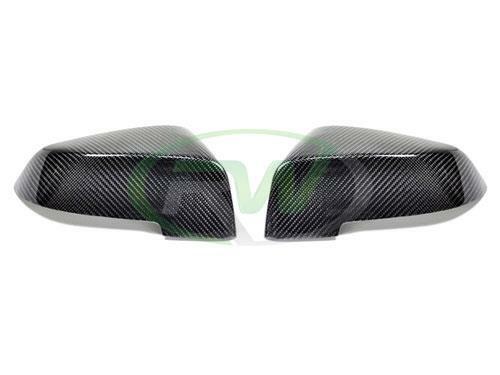 Looking for some nice carbon fiber accents for your newly purchased BMW 5, 6 or 7 series? 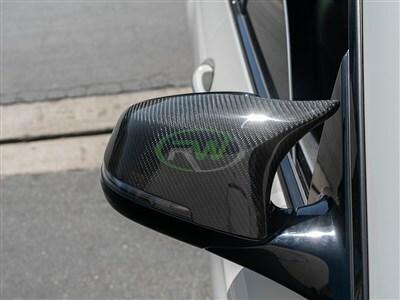 RW Carbon has you covered with these beautifully constructed carbon fiber mirror replacements. These are not the typical mirror covers, but rather a full replacements that takes the place of your housing. Made out of durable and light weight ABS plastic these will out last your BMW. Each one is then carefully covered in REAL carbon fiber fabric and is finished off with a deep crystal clear coat. 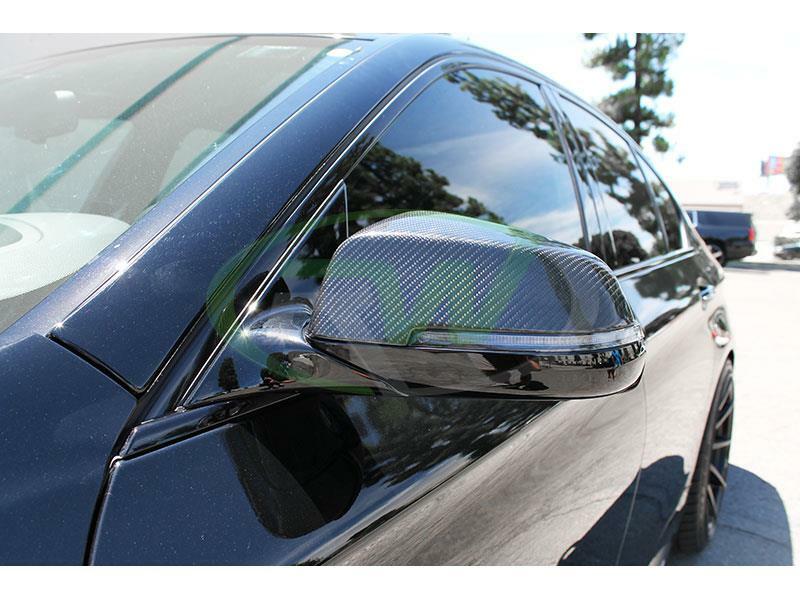 Pick up a set of BMW carbon fiber mirror replacements today and see the dramatic difference it will make on your ride. 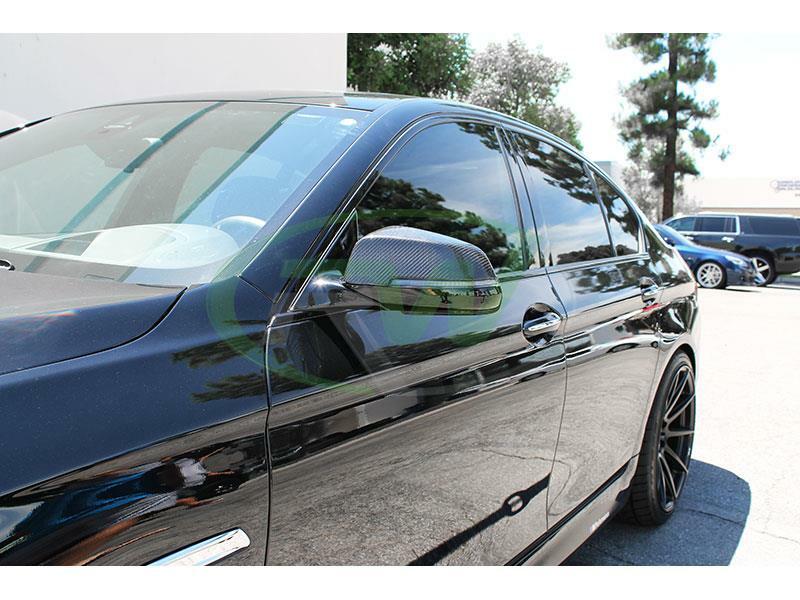 These mirror cap replacements for the BMW 5, 6 and 7 series LCI will replace your OEM mirror caps and install using the same clips and mounting locations. 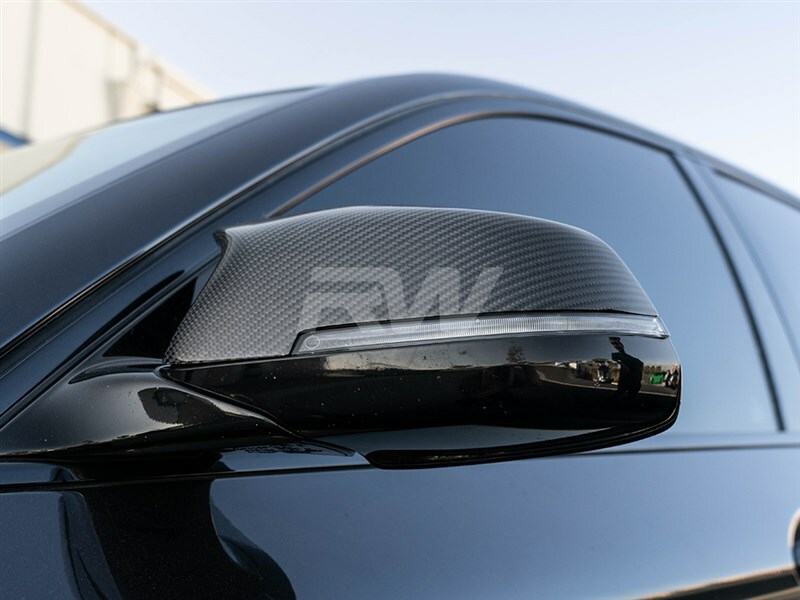 We know there are many companies out there stating that they have the best exterior or interior carbon fiber parts for your BMW. At RW Carbon we pride ourselves on taking the time to quality check all of our outgoing shipments. When you order from many companies online they are shipping a product straight from overseas that has not been quality controlled. If you order one of these parts you could receive a set of mirror covers that are damaged, have scratches in the clear coat, or posses overall poor carbon fiber construction. By choosing RW Carbon we make the promise to deliver you a consistent, quality product that is shipped from our Southern California location. 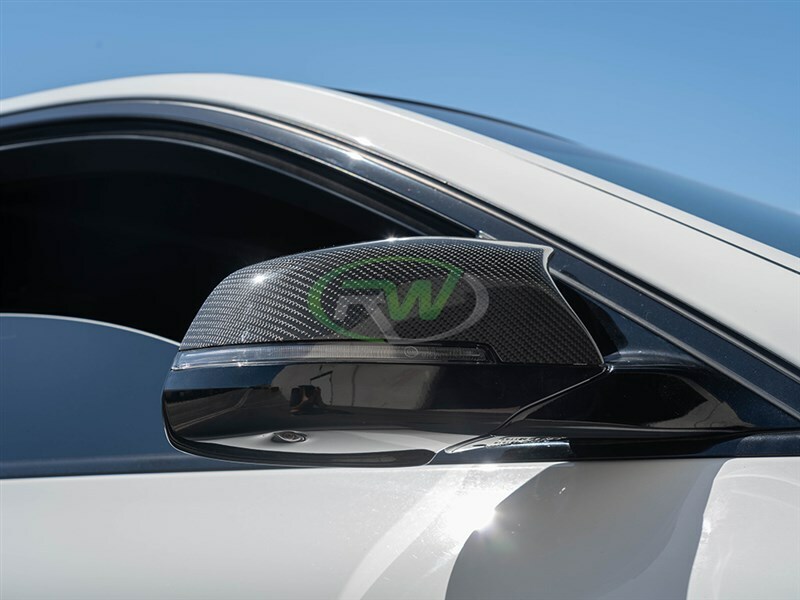 Additionally, all products shipping from our warehouse are meticulously inspected, and packaged to ensure you receive the best possible carbon fiber mirror replacements for your BMW F10/F12/F01 LCI.